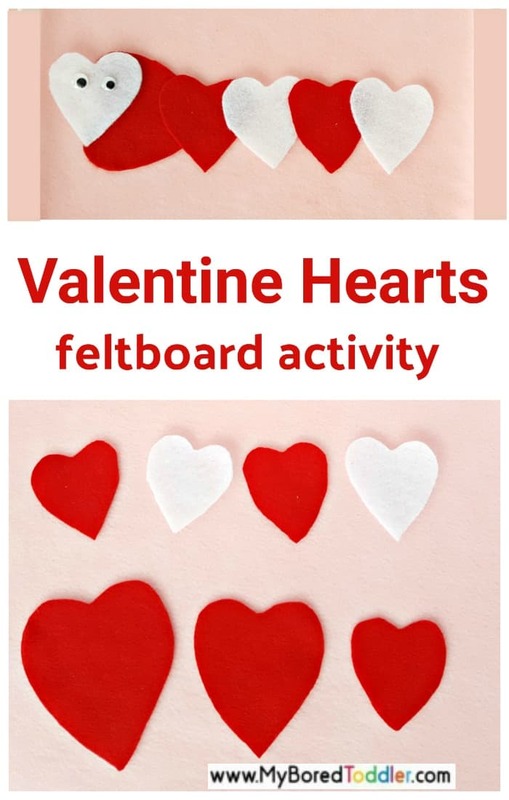 This felt board activity provides hands-on fun and is a great Valentine’s Day activity for toddlers. 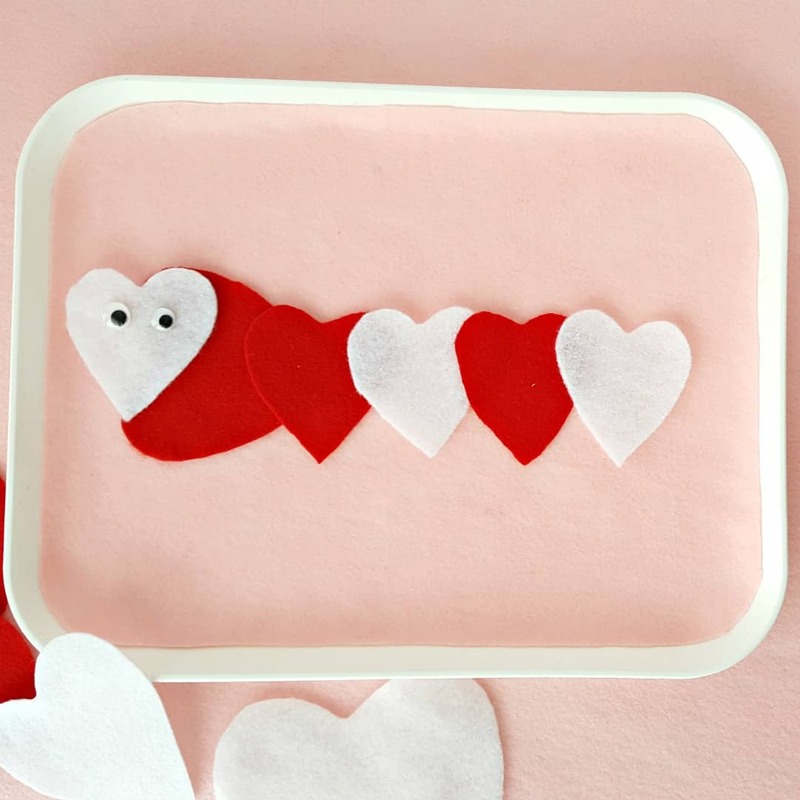 Toddlers will love arranging the heart-shaped cut-outs in different ways to make silly characters or a long train. Felt hearts provide an awesome quiet time activity for toddlers. The felt shapes can be provided in a busy box for independent play, or you can initiate simple math concepts with your child as you play together. The different colors and sizes of felt pieces can be arranged in many different ways, combining math with imagination, creativity, and fine motor skills. 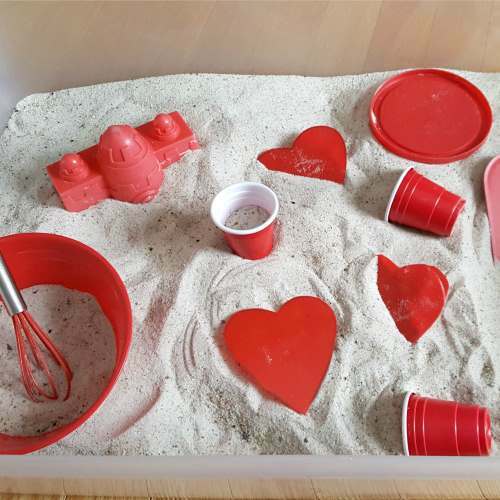 As always we love to incorporate a book into our toddler activities and there are so many great Valentine’s Day themed ones. One of our favorites is ‘Love’ from Eric Carle. 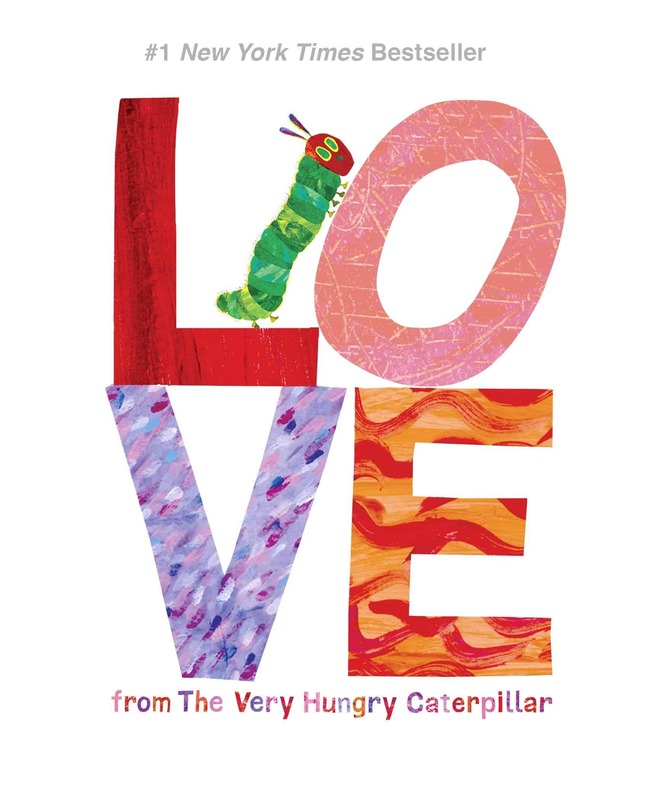 This book uses the same caterpillar from The Very Hungry Caterpillar to explain about love. It’s the most beautiful book and you can get it HERE from Amazon. 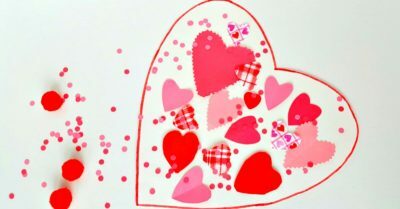 Valentine crafts and activities often include colors such as red, white and pink. These colors were chosen for this activity to help kids become familiar with basic colors while encouraging language and fine motor skills. 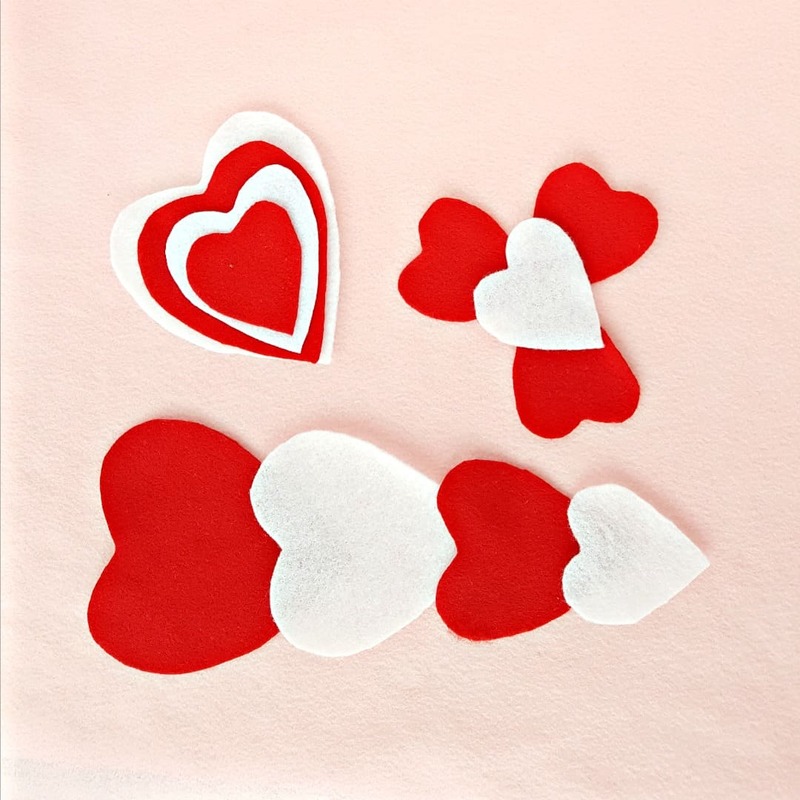 Cut heart shaped templates in different sizes from cardstock. Transfer the patterns onto red and white felt by tracing around the cardstock templates with a piece of chalk. Cut out the felt hearts. 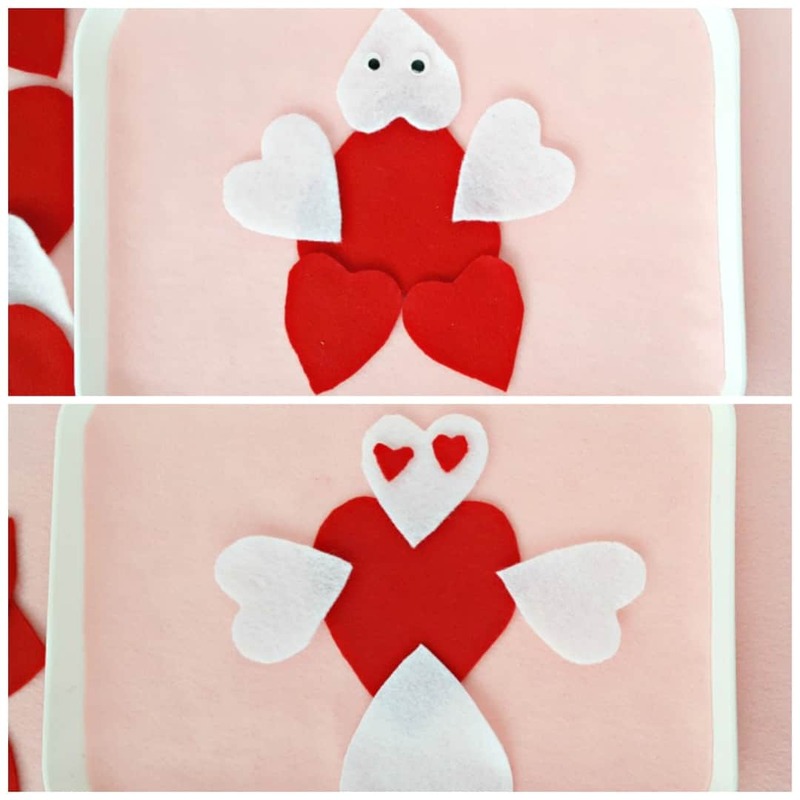 Display the felt hearts on a felt board, on a large piece of felt on a table or in a tray lined with felt. A tray is useful for defining the work area and making cleanup easy. Adapt the activity to the skill level and interest of your toddler. 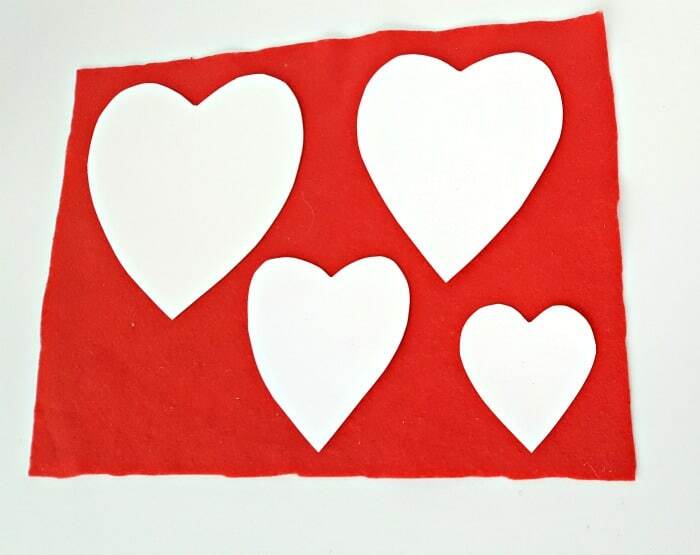 You can introduce just two sizes of heart cut-outs at first – large and small – so your child is not overwhelmed with materials. You can use a variety of colorful felt pieces rather than the traditional red, white and pink colors, if they would promote more interest in the activity. 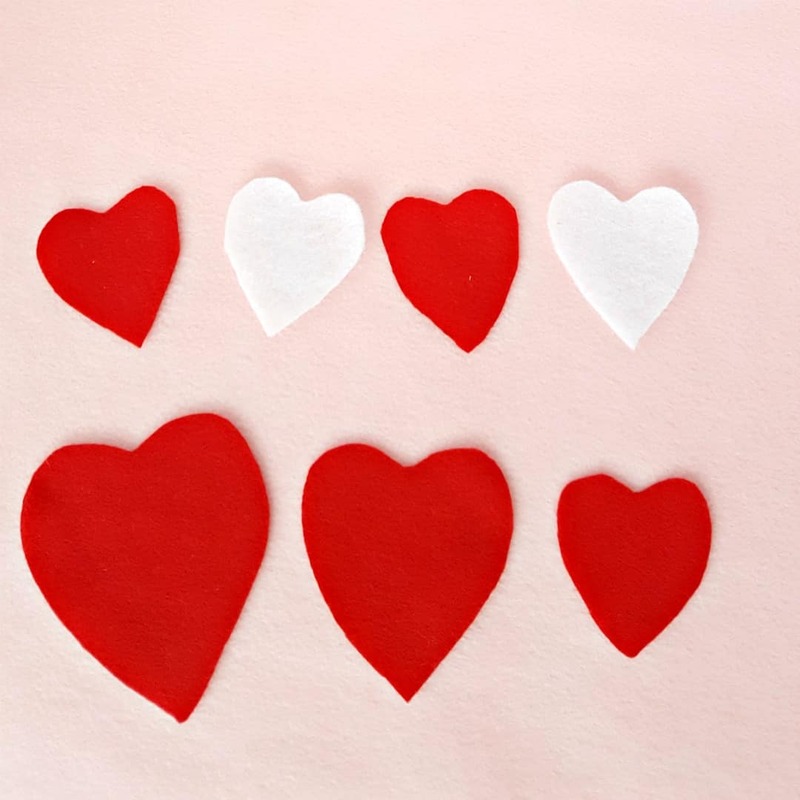 Place some hearts in a row from largest to smallest. Stack the hearts one on top of the other. Sort the hearts by color or size. Make a pattern such as red-white-red-white-red. Ask your toddler to choose the color that comes next. Guide your toddler through the activity with conversation. Can you make a silly animal? Let’s put all the red hearts in a line. How many heart shapes do we need to make a long train? The durability of felt cut-outs allows them to be played with over and over. They provide sensory and fine motor play (arranging), math play (sorting) and creative play (making silly animals or characters). Explore shapes, colors and patterns with this fun hands-on activity to support early learning skills. If you enjoyed this toddler Valentine’s Day activity you can find our huge collection of toddler Valentine’s day activities HERE. « 5 Ways your kids can help in the kitchen!